Фиг. 5.60. Коррекция инвертирующего усилителя по входу. НО равна 35 В/мкс, тогда как усилитель с внутренней коррекцией дает около 6 В/мкс. Полезная схема коррекции для инвертирующего усилителя показана на фиг. 5.60, а. Преимущество такого включения по сравнению с более традиционными схемами коррекции заключается в следующем: хотя полоса пропускания здесь и уменьшается, однако скорость нарастания не снижается; на низких и Средних частотах достижим большой коэффициент усиления без обратной связи. 1. Ahmed Н., Spreadbury Р. J., Electronics for Engineers, An Introduction, Cambridge University Press, London, 1973. 2. Angelo E. J., Jr.. Electronics: BJTs, FETs and Microcircuits, McGraw-Hill, New York, 1969. 3. Barna A., Operational Amplifiers, Wiley, New York, 1971. 4. Belove C, Schachter H., Schilling D. L., Digital and Analog Systems, Circuits and Devices; An Introductions, McGraw-Hill, New York, 1973. 5. Cheng D. K., Analysis of Linear Systems, Addison-Wesley, Reading, Mass., 1961. 6. Chirlian P. M., Integrated and Active Network Analysis and Synthesis, Prentice-Hall, Englewood Cliffs, N. J., 1967. 7. DAzzo J. J., Houpis C. H., Feedback Control System Analysis and Synthesis, McGraw-Hill, New York, 1966. 8. Deboo G. J., Burros C. N., Integrated Circuits and Semiconductor Devices: Theory and Application, McGraw-Hill, New York, I97I. 9. Fitchen F. C, Electronic Integrated Circuits and Systems, Van Nostrand-Reinhold, New York, 1970. 10. Gardner M. F., Barnes J. L., Transients in Linear Systems, Wiley, New York, 1963. 11. Graeme J. G., Tobey G. E., Huelsman L. P., Operational Amplifiers: Design and Applications, McGraw-Hill, New York, 1971; русский перевод: Проектирование и применение операционных усилителей. Под ред. Дж. Грэма, Дж. Тоби и Л. Хьюлсмана, М., «Мир», 1974. 12 Graeme J. G., Applications of Operational Amplifiers: Third Generation Techniques, McGraw-Hill, New York, 1973. 13. Gray p. е., Searle С. L., Electronic Principles: Physics, Models and Circuits, Wiley, New York, 1969. 14. Grebene A. В., Analog Integrated Circuit Design, Van Nostrand-Reinhold, New York, 1972. 15. Hilburn J. L., Johnson D. E., Manual of Active Filter Design, McGraw-Hill, New York, 1973. 16. 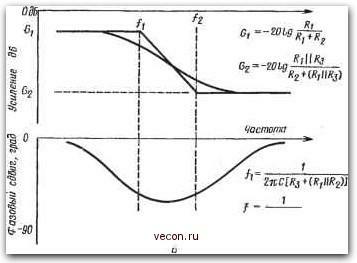 Huelsman L. P., Active Filters: Lumped, Distributed, Integrated, Digital and Parametrics, McGraw-Hill, New York, 1970; русский перевод: Хьюлс-ман Л. П., Активные фильтры, М., «Мир», 1972. 17. Meyer С. S., Lynn D. К., Hamilton D. J., Analysis and Design of Integrated Circuits, McGraw-Hill, New York, 1968; русский перевод: Анализ и расчет интегральных схем. Под ред. Д. Линна, Ч. Мейера и Д. Гамильтона, М., «Мир», 1969. 18. Melen R., Garland И., Understanding 1С Operational Amplifiers, Sams, Indianapolis, 1971. 19. Millman J., Halkias C. C, Electronics Devices and Circuits, McGraw-Hill, New York, 1967. 20. Millman J., Halkias C. C, Integrated Electronics: Analog and Digital Circuits and Systems, McGraw-Hill, New York, 1972. 21. Millman J., Taub H., Pulse, Digital and Switching Waveforms, McGraw-Hill, New York, 1965. 22. Motchenbaucher C. D., Fitchen F. C, Low Noise Electronic Design, Wiley, New York, 1973. 23. Motorola Semiconductor Products Inc., Linear Integrated Circuits Data Book, Motorola, Inc., December 1972. 24. Pierce J. F., Paulus T. J., Applied Electronics, Merrill, Columbus, Ohio, 1972. 25. Pierce J. F., Semiconductor Junction Devices, Merrill, Columbus, Ohio, 1967. 26. Pierce J. F., Transistor Circuit Theory and Design, Merrill, Columbus, Ohio, 1963. 27. RCA Inc., Linear Integrated Circuits, RCA Corp., Technical Series IC-42, 1970. 28. RCA Inc., Linear Integrated Circuits and MOS Devices, RCA Corp. No. SSD-202, 1972. 29. Ryder J. D., Electronic Fundamentals and Applications, Prentice-Hall, Englewood Cliffs, N. J., 1970. 30 Schilling D. L., Belove C, Electronic Circuits: Discrete and Integrated, McGraw-Hill, New York, 1968. 31. Sheingold D. H., Analog-Digital Conversion Handbook, Analog Devices Inc., Norwood, Mass., 1972. 32. Stewart H. E., Engineering Electronics Alloyn and Bacon, Boston, 1969. 33. Strauss L., Wave Generation and Shaping, McGraw-Hill, New York, 1970. 34. Su K- L., Active Network Synthesis, McGraw-Hill, New York, 1965.